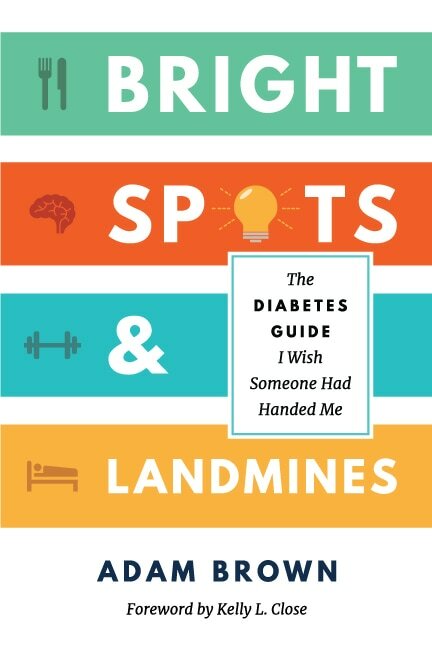 In May 2017, The diaTribe Foundation published its first full-length book entitled Bright Spots & Landmines: The Diabetes Guide I Wish Someone Had Handed Me by Adam Brown. 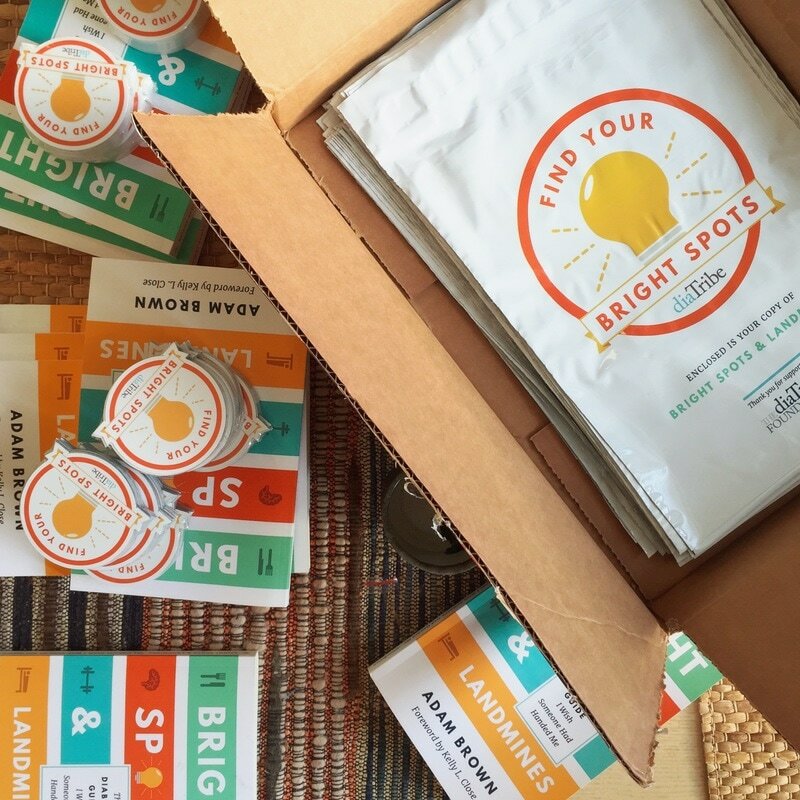 As the sole designer on the project, I crafted the entire Bright Spots & Landmines visual experience, from the book itself to its marketing and web presence from the ground up. This project was nearly a year-long effort from a small, fiercely passionate, grassroots team. Many of us had never embarked on a publishing venture before, and it was an incredible learning experience (with all of its ups and downs) for everyone involved. The book title went through several iterations before I became involved. One of the earliest (and quickly canned) titles was "Make Diabetes Awesome," which was ruled out since "awesome" probably isn't the fifth or fiftieth word people would use to describe diabetes. Yet, with any crazy idea, there was something there. As a person who is fortunately healthy, I sometimes still find the experience of seeing doctors and seeking medical advice intimidating. I always feel like there is a huge information asymmetry; all I can ever do is smile and nod like I understand what's going on. I once waited over an hour and paid 70 bucks for a doctor to take one glance at me and tell me to take more ibuprofen. These sorts of experiences can be uncomfortable and make the everyday patient feel unprepared to tackle their conditions or illnesses. They might make us roll our eyes at the idea of seeking out health advice. At worst, they make us fearful of repeating the experience ever again. 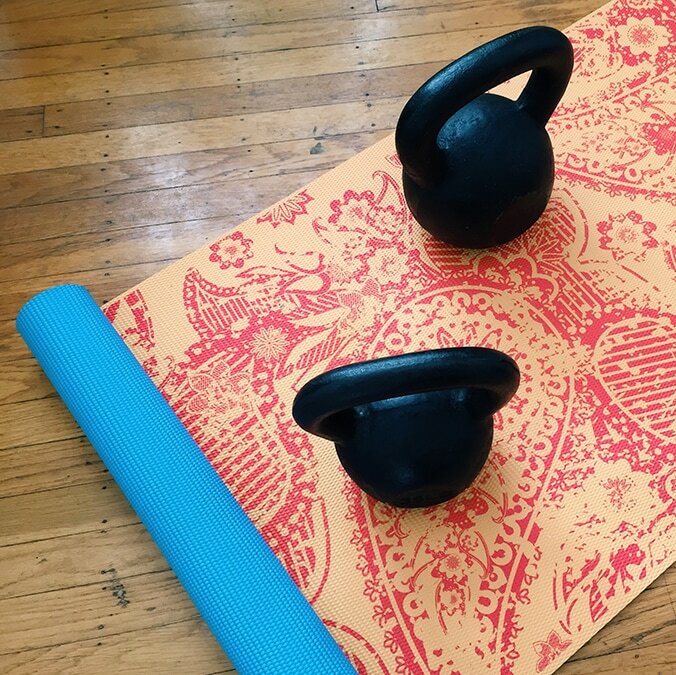 The idea of making health tips, especially as related to chronic disease, approachable—dare we even say fun—was a challenge I really wanted to tango with. Approachability was at the top of my mind throughout the entire design process. It informed my decisions for typography, color palette, tone, and photography. 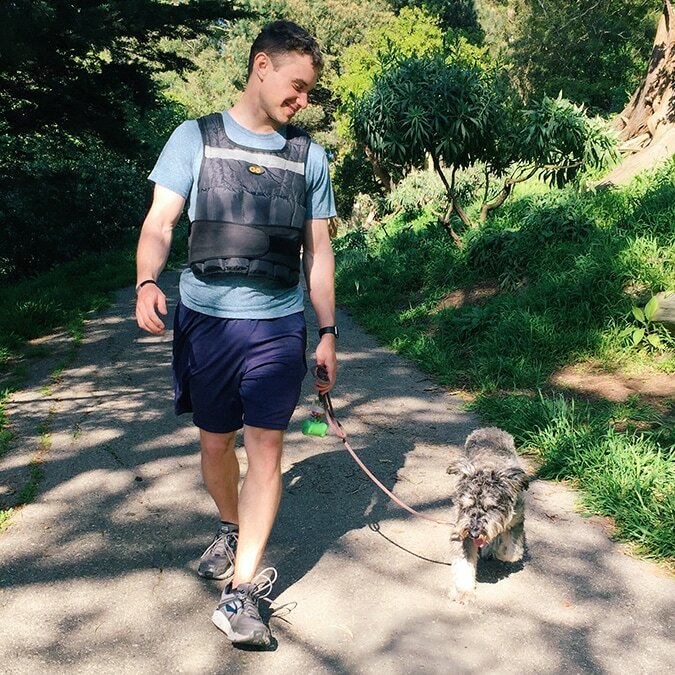 I wanted Adam's writing to fall inside a visual language that invited people into the conversation and opened people up to thinking about their own diabetes management tactics instead of giving one authoritative opinion to rule them all. I wanted people to know that the meal ideas we shared (while the dishes were wiped clean of excess sauce), were very much the meals we cooked and ate on a weekly basis. 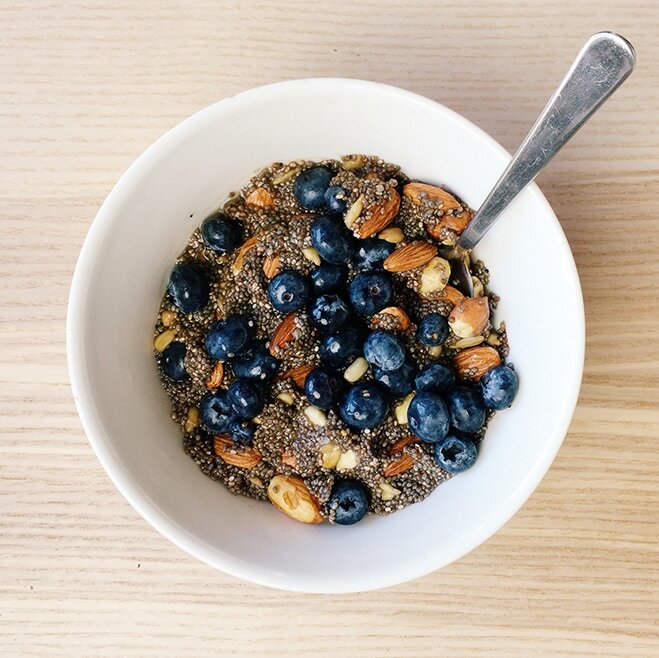 I wanted readers to know that while leading a healthy life is challenging and may require shifts in routine and perspective, it was very possible in small strides. 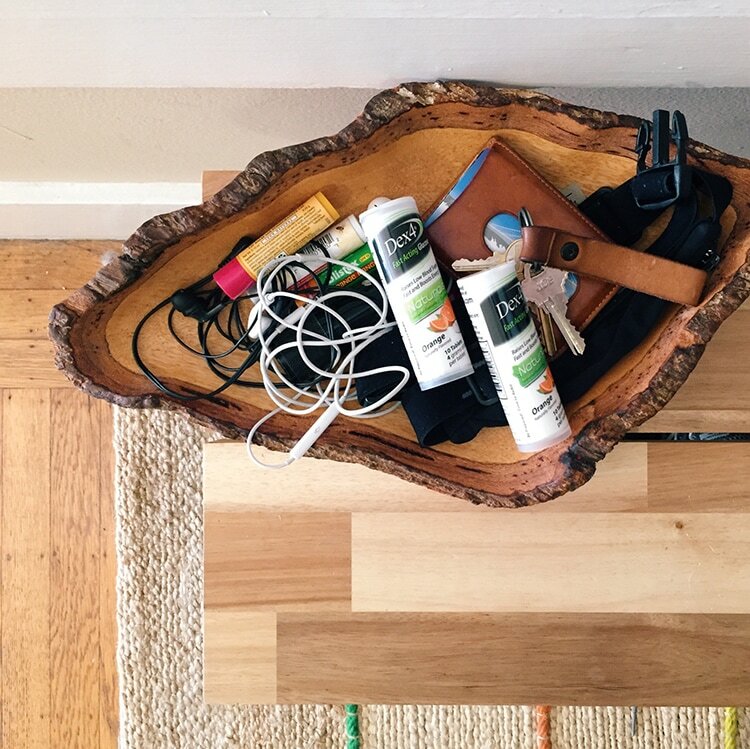 As I made my way through the manuscript, I could imagine Adam's tips as trail markers peppered throughout the diabetes trail; you were still ultimately in control of where you were going, but the signs could help point you to a better route. I knew I wanted to make the recurring symbols and icons in the book emblematic of trail or road signs that lead the way. Following this concept, I kept the illustrations straightforward so people could easily navigate the reading experience as well—whether in the Bright Spot or Landmine sections or within the four chapters. However, I had to be conscious of the emotional tones road and trail signage could represent. The Landmine badge on the left side didn't feel friendly at all, but more like a warning... like someone screaming, "FIRE!" or a signal of toxicity. 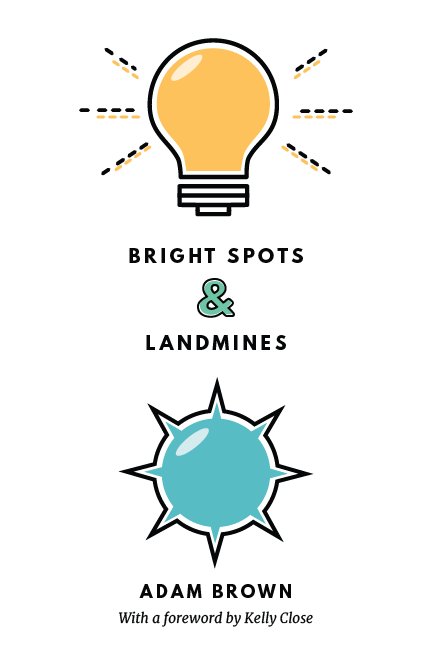 Although Landmines are supposed to represent some of Adam's less than ideal diabetes habits, I had to tweak the colors until the badge felt like an item that was simply flagged for attention instead of an oppressive rule dictating what you're not allowed to do. Crazy how one color palette can still lead to drastically different badge styles. The final versions are pictured on the right along with the four final chapter graphics. Once the overall design language was established, I had to tackle the most daunting part—the cover. I admittedly judge books by their covers (and if people didn't, I probably wouldn't have a job...), so I really wanted to make this one memorable and unlike typical non-fiction health books. I wanted to carry over the idea of simplicity and clarity in the cover with clean lines, icons, and colors. Adam also really wanted the positivity to come through and the focus to be on the uplifting message, even though the title contained both Bright Spots and Landmines. Here are a few of the initial cover concepts with the final concept (pictured right). Adding more color helped to create a bolder, more interesting cover. Laying out the content for the book was a new challenge for me, and while I spent many nights shaking my fist at the sky, I was committed to creating a reading experience that was easily digestible, with clear pauses, times for reflection, and room to scribble notes. I wanted the most actionable and inspiring parts to jump off the page and get the emphasis they deserved. Adam packs a ton of advice into a short book, and I didn't want readers to feel intimidated in the slightest, so instead of porting over his manuscript in a blanket format, I laid out each page with a format most fitting for that specific content. When the book design was completed (!!! ), I applied the design language to various channels of digital marketing for the book. The most important component was the microsite and the ability to name your own price for the digital download in the subsequent flow. 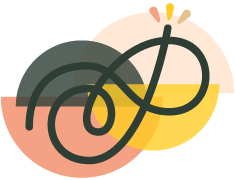 The site not only functioned as the gateway to get a copy but also as a place to learn more about the project, read excerpts, and find testimonials. I also created social media graphics that were used to tease the launch and continue to drive social engagement and traffic to the book. These graphics focus on one specific Bright Spot or tip at a time and can easily be shared through social media. 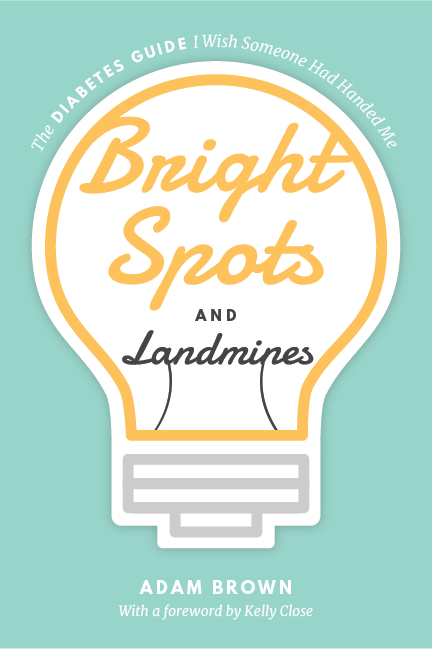 On May 9, 2017, Bright Spots & Landmines was released into the wild as a name-your-own-price PDF download or paperback/Kindle purchase on Amazon. The marketing effort consisted of an early launch team, dozens of advanced copies mailed to influencers, social media marketing, and much more. On its launch day, the book reached #210 out of over 8 million print books on Amazon and 100,000 copies have been distributed to this day. The book has been featured on diabetes podcasts (Diabetes Connections, ﻿Juicebox Podcast﻿) and coverage/notable mentions have spanned diabetes blogs (Diabetes Daily, A Sweet Life) to mainstream media (Huffington Post, U.S. News & World Report). The diaTribe Foundation's goal is to reach 25,000 readers by the end of 2017. A huge thank you goes out to Adam Brown, John and Kelly Close, and the diaTribe and Close Concerns teams for amazing guidance, flexibility, and trust. (Thanks for also letting me be a squatter in your office on random days of the week.) 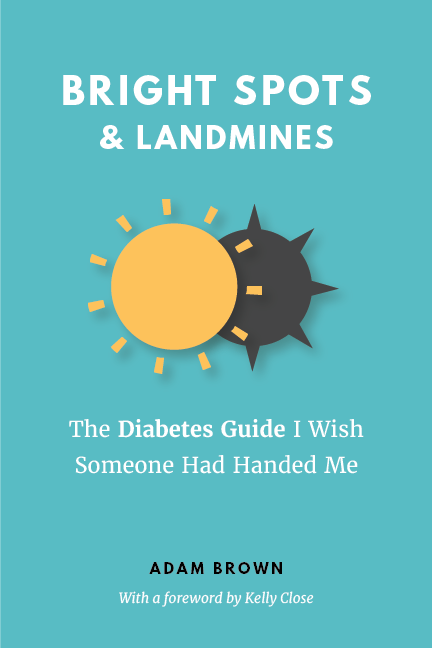 I hope the book will continue to reach people with diabetes and help them on their journey. 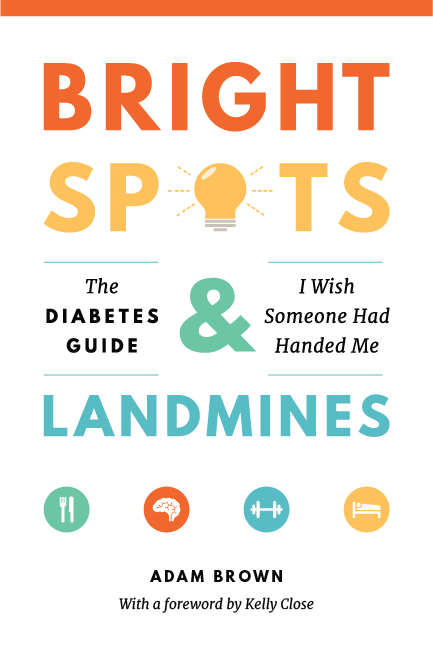 To learn more about this project, visit brightspotsandlandmines.org or purchase a copy on Amazon. All proceeds go to benefit The diaTribe Foundation, a 501(c)3 non-profit to improve the lives of people with diabetes, prediabetes and obesity, and to advocate for action.